Wanted to share a great sale happening right now at World Market….40% off all furniture with promo code FURNDEAL! Have you ever been to one of their stores before? We used to live by one on the west coast of Florida, and I loved perusing the aisles. Their selection of unique furniture, rugs, lighting, accessories, and even snacks, continues to make them one of my favorite, off-the-beat-and-path sources for affordable finds. 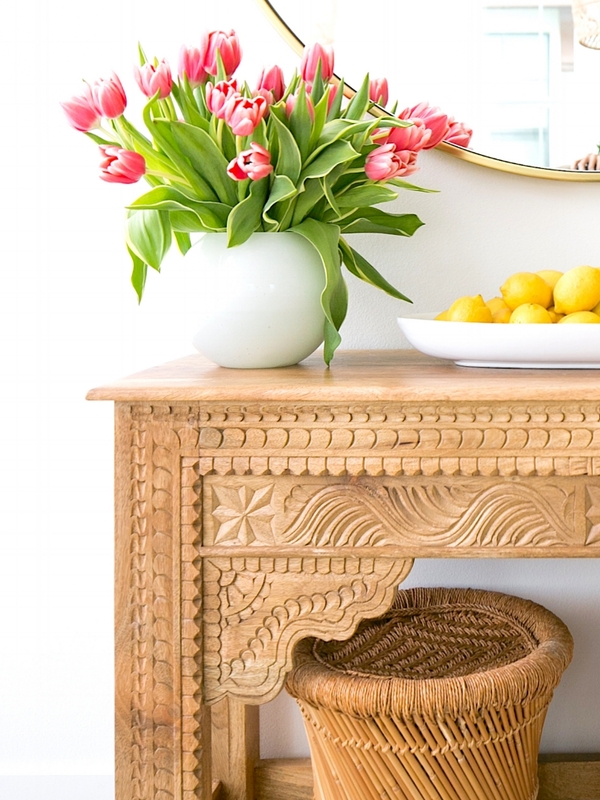 Our own carved wood entry console is part of the furniture sale, and this piece is definitely one of the most popular “where’d you get that?” questions I receive. I’ve rounded up several of my personal favorites furniture pieces, as well as a handful of accessories that I adore.